If anyone asks me why right brain education? 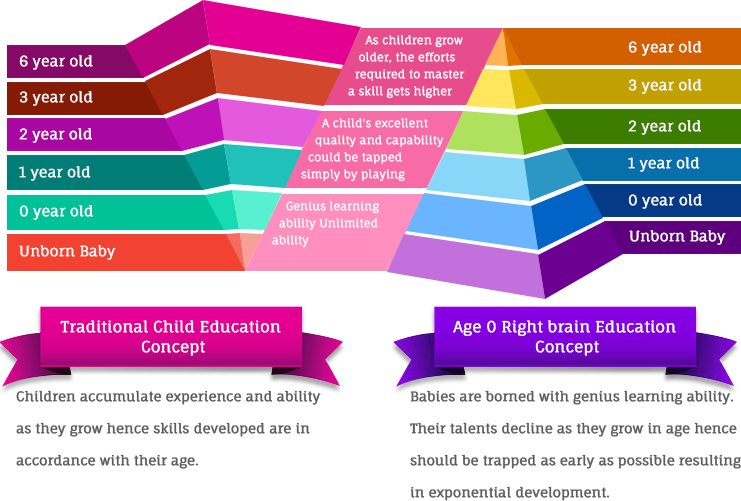 Right brain education is the much sought out for acceleration in your child’s learning, providing an edge in life. In 1981, Dr Roger Sperry was awarded the Nobel Prize for his split brain theory. He established Distinctive features and characteristics of each side of the brain. Although two sides of the brain are designed to work together, each has a vastly unique personality and abilities. Just like a muscle, our brains works on the principle of “Use it or Lose it”. We need to exercise it through stimulation, to preserve it. 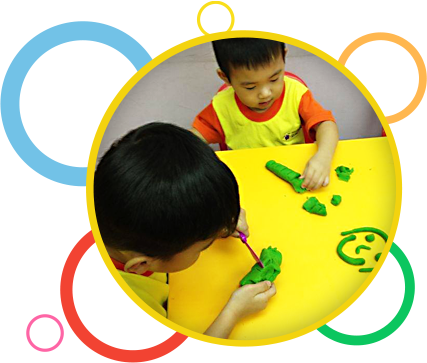 If you could choose only one early childhood development program to enroll your child in, it would have to be a right brain development program first and foremost. Once you develop the brain, all the other programs – sports, music, languages, etc. – can be picked up later as and when the time and resources become available. 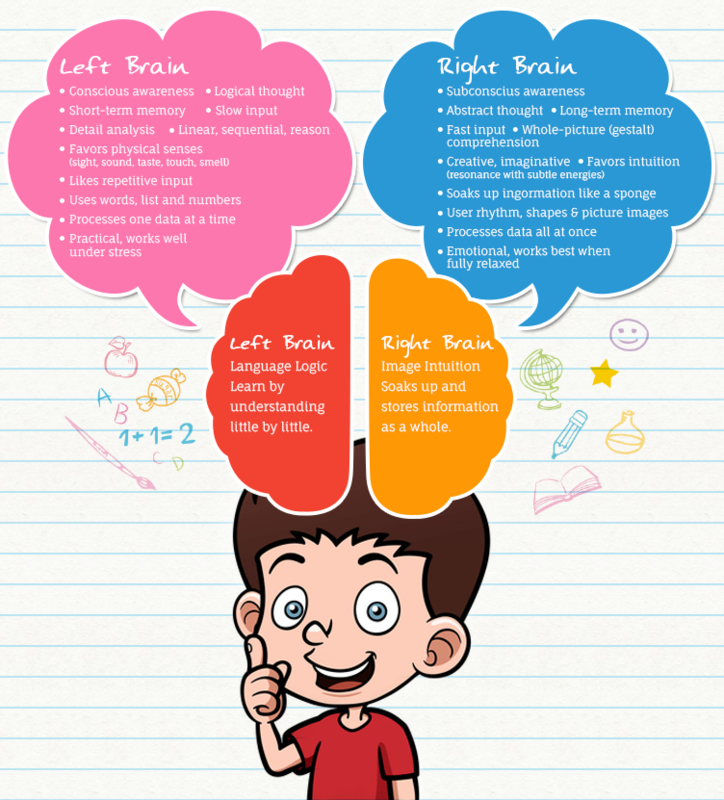 If right brain education has been done right, school becomes easier for your child. You will be Enabling your child to pursue his interests allows him to live a more fulfilling life because he has the time to discover what he really wants to do with his life. Thus through Right Brain education, we have a smarter, more empathetic, creative and a happy child.